Ferrari F 430 Maranello Towel - "Steel". 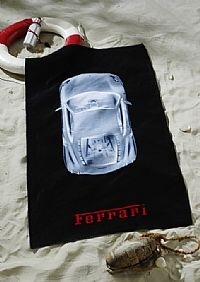 This 100% terry cloth towel carries a very nice print of the Ferrari F430 & Ferrari script logos. It measures some 81 x 163 cm or 32 x 65 inches.